TORONTO, Jan. 25, 2019 /PRNewswire/ -- Spin Master Corp. (TSX:TOY; www.spinmaster.com) a leading global children's entertainment company, took home top honors for its innovative products at the Toy Industry Awards presented by the British Toy & Hobby Association (BTHA) and the Toy Retailers Association on January 22, 2019. 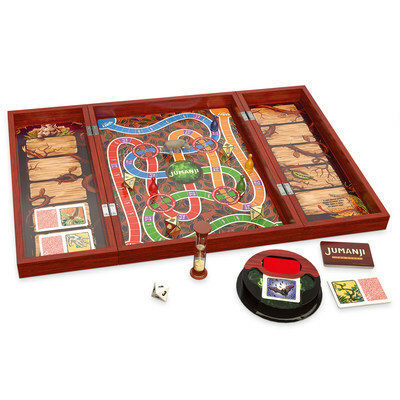 The Company won two coveted UK Toy and Supplier of the Year Awards: Game of the Year – Jumanji Board Game and Preschool Range of the Year - PAW Patrol®. 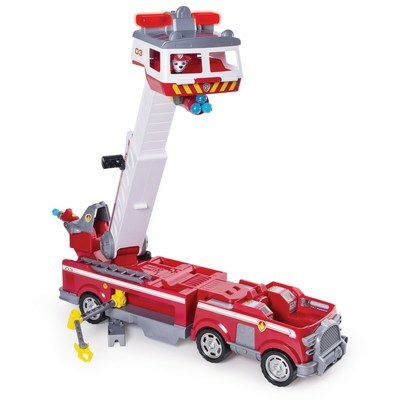 Additionally, PAW Patrol® Ultimate Construction Vehicle was named one of Toy Fair's Hero Toys. Decided by an independent panel of industry judges and the BTHA, The Toy Fair Hero Toys seeks to recognize the 25 most exciting and creative toys launched at Toy Fair. "It's an incredible honor to receive these awards and a reflection on our team's ongoing hard work and dedication," said Ben Gadbois, Spin Master's Global President and COO. "Spin Master is committed to pushing the boundaries of innovation and creativity and these three awards are a testament to our efforts." "We're so thrilled to receive these three amazing awards at such a prestigious industry event," said Hedley Barnes, General Manager Northern Europe. "Our steadfast focus is on bringing innovative toys, games and entertainment to kids to inspire creativity and fun." This year's awards follow Spin Master's 2018 UK Toy of the Year wins for: Collectible of the Year - Hatchimals CollEGGtibles™, Doll of the Year - Luvabella™, Pre-School Toy of the Year - PAW Patrol® Basic Vehicle and the illustrious Supplier of the Year Award. These awards come just weeks before the North American Toy Fair, which takes place in New York February 16-19, 2019. Spin Master has been nominated for seven Toy of the Year (TOTY) Awards from the US Toy Industry Association and seven Women in Toys (WIT) Wonder Woman Awards. Spin Master (TSX: TOY; www.spinmaster.com) is a leading global children's entertainment company that creates, designs, manufactures, licenses and markets a diversified portfolio of innovative toys, games, products and entertainment properties. Spin Master is best known for award-winning brands including Zoomer®, Bakugan®, Erector® by Meccano®, Hatchimals®, Air Hogs® and PAW Patrol®. Since 2000, Spin Master has received 103 Toy of the Year (TOTY) nominations with 28 wins across a variety of product categories, including 13 TOTY nominations for Innovative Toy of the Year. To date, Spin Master has produced eight television series, including the recently re-launched Bakugan Battle Brawlers and current hit PAW Patrol, which is broadcast in over 160 countries and territories globally. Spin Master has 28 offices and employs over 1,700 people globally in Canada, United States, Mexico, France, Italy, United Kingdom, Russia, Slovakia, Poland, Germany, Sweden, the Netherlands, China, Hong Kong, Japan, Vietnam, and Australia.